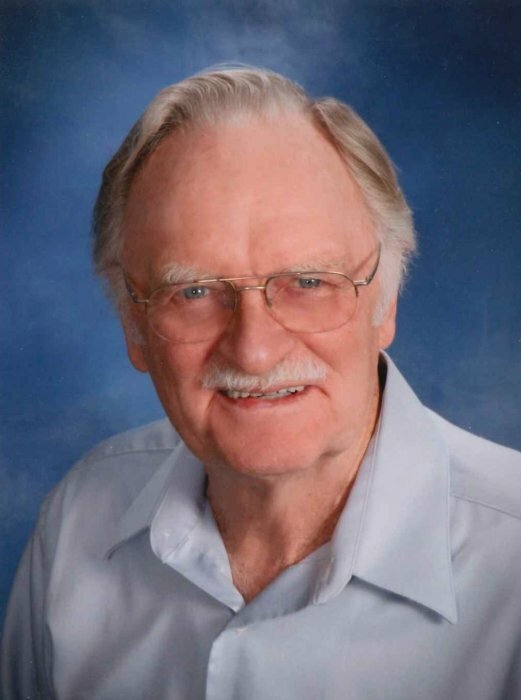 Ronald Clifford Wiehle, age 81, of Longville, MN, passed away on Tuesday, March 19, 2019 at his home with his loving family by his side. He was born on December 20, 1937 in Minneapolis the son of Clifford and Iva (Donnay). Ron grew up in Glencoe, MN. He moved to Bloomington, then later to Richfield where he graduated from High School in 1956. Following school, he attended Dunwoody Institute and graduated with a certificate as an Electrician in 1959. Ron was a member of Electrical Workers Union Local 292. He joined the Army in 1961 and served in the Army Reserves until 1967. Ron married Joan L. Mortrud on December 28, 1963 and together they raised three daughters, Vicky, Schelly and Julie. He worked as an Electrician for Electric Service Company until he started his own business, Elm Creek Electric. Ron became the electrical inspector for the northern portion of Minnesota. He reunited with his High School sweet heart, Diane Malchow and the two were united in marriage on April 18th, 1998 in Edina, MN. They made their home in northern Minnesota and finally settled in Longville. Ron became an active member of Salem Lutheran Church in Longville. He was a “Jack of All Trades” who built his first home in Maple Grove, MN and later building another in DuBois, WY. Ron was always expanding his knowledge and working on a new projects, mastering each with precision. His hobbies included wood working and turning bowls on his lathe. Ron had a tool for each project and if he couldn’t find one, he would design one himself. He enjoyed hunting, snowmobiling and spending time with family and friends. He will be sadly missed by all who knew him. The family that Ron joins again are the love of his life, Diane; his parents, Cliff and Iva; and his sister, Dorene Donnay. Those he leaves behind to cherish his memory are his daughters, Schelly Frane of Minneapolis, Julie (Bruce) MacGregor of Palisade, MN; step daughters, Vicky (Dan) Kaschner of Eagan, MN, Debbie Abrams of Sartell, MN; step sons, Steve (Val) Malchow of Winnebago, MN and Michael Malchow of Minneapolis, MN; sister, Lorene Richards of DeLand, FL; brother, Curt (Rita Teresi) Wiehle of Crosslake, MN; brother in-law, Wayne (Marilyn) Jacobsen of Columbus, NE; seventeen grandchildren, sixteen great grandchildren and many extended family members. A celebration of Ron’s life will be held at 11:00 a.m., Saturday, March 30, 2019 with visitation held one hour prior to the service from 10-11:00 a.m., all held at Salem Lutheran Church in Longville with Pastor Trish Jorgenson officiating. Military Honors will be presented following the service at the church and lunch will follow military honors. Inurnment will be held at Salem Lutheran Cemetery in the spring. In lieu of flowers the family would like memorials to the Longville Food Shelf, 5070 MN-84, Longville, MN 56655.